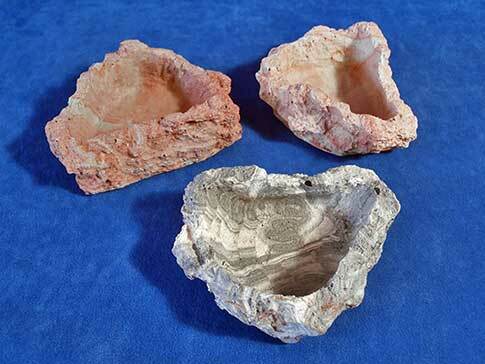 These are the small version of a natural looking resin dish which resembles a rock. Rock dishes can be used for food or water. Its a pool that is just shallow enough for your hermit crabs to take a dip. Measures approximately 4" x 3" and are ¾" deep.